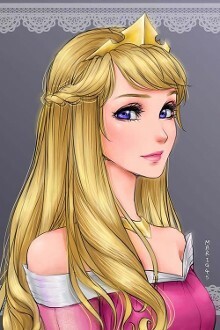 The good fairies have blessed the Sleeping Beauty birthday party with beauty and song just like Princess Aurora. Your child and her guests are sure to stay awake for this one! We’ll transport them to a magical kingdom of royalty, fairies, and evil witches. 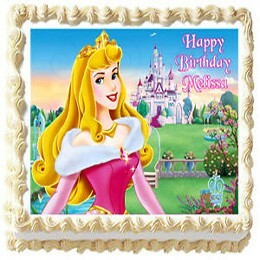 We offer three Sleeping Beauty birthday party packages to fit your child’s imagination and your budget. Sleeping Beauty and the evil witch Maleficent are featured in our Sleeping Beauty gold package. Not only are these talented actors in full costume, but they’re also theater trained performers who act, sing, and dance. Your little beauty and her friends will be enchanted. Plus, your child and all the birthday party guests will get to wear princess costumes. Capes and masks for the boys. If you prefer to have a home party, Sleeping Beauty can come to you. 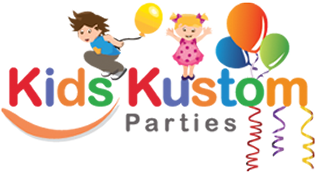 Learn more about kids party characters who come to your venue. 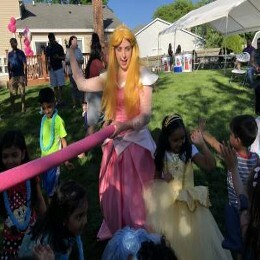 For an additional fee and more kids entertainment, balloon artists, jugglers, or face painters can also entertain your party guests at any kid’s birthday party. Your guests can also enjoy our popcorn machine or snow cone maker for an additional fee or a swap item. The Brothers Grimm wrote Sleeping Beauty, a classic fairy tale about sleeping enchantment. They adapted a Charles Perrault story, which was published in 1697. The fairytale goes back as far as 1330.